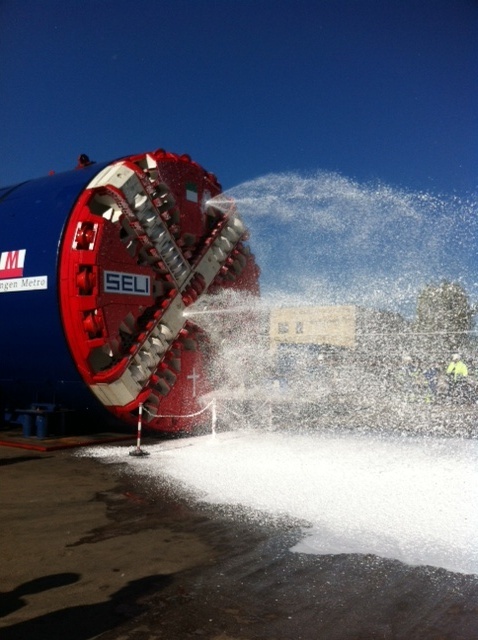 The first of four TBMs to be used on the 24km of twin tube tunnel for the Copenhagen Metro was inaugurated on 16th November at the Seli factory, 11 months after the company won the tender as part of the Salini Costruttori/Maire Tecnimont/Seli JV. The EPBM, worth roughly €7M was designed and built in 10 months in collaboration with Kawasaki. The remaining machines for the project are scheduled to be delivered in 2013. The Metro is fully automated and is scheduled to be fully operational by 2018.